Between a short Introduction that attempts to construct the underlying social science rationale for the outbreak of the Six Day War and a short epilogue that simply highlights the major trend of the Six Day War lies what appears to be a well researched and informative story of political-military manipulations and lies by all parties involved. It remains to the truth that Israel pre-emptively started the war, but attempts to make it look more like the thesis of Barbara Tuchman’s “The Proud Tower” than a more directed enterprise. The Introduction carries Guy Laron’s political science interpretation leading up to the war. His first prime initiator was the conflict between the military generals and the civilian governments. The second initiator was a global debt crisis during the 1960s as the Bretton Woods gold-dollar standard weakened. It is one of the few historical works I have read that accurately ties economic manipulations into the causes of governmental stress leading to war. The U.S. debt problems and the IMF are both noted for their role in that aspect. Unfortunately it was beyond the scope of “The Six Day War” to dig into the deeper reality of the IMFs ‘structural adjustment plans’ that weakened many emerging state economies; further, it did not mention the U.S. war debts that helped create the need for leaving the gold-dollar standard at a later date. His theoretical model before actually ‘telling the tale’ is a generalization in the social sciences, recognizing that it is “a model that illustrates the causal link between global economic shifts and the rise of military institutions”. He posits that the “human condition,” that the “personal foibles of leaders….were pushed in the same direction suggests that the choices they made were not their own choosing.” Unfortunately that does not eliminate the “human condition” as a cause because the generals, the military leaders, are also presumably human. These introductory arguments and the book’s subtitle – “The Breaking of the Middle East” – deny a longer, more pernicious and sinister reality – but it is time to begin the tale. Once into describing and detailing the events leading up to the war, Laron demonstrates a strong research base used to craft an interesting and well written history. It is a story clearly told for all the major players in the region: the Syrians, the Jordanians, the Egyptians and the Israelis. It folds in the Cold War plays of the former USSR and the USA. It outlines the different stories presented by the media contrasted with the reality of the wheeling and dealing behind the scenes of the political and military personnel. As the history wends its way through the various countries administrations, it does not always follow a strict sequential pattern. This helps the reader be more familiar with each aspect of the story as the different countries are dealt with somewhat separately. Obviously they are not separate and some repetition does come into play, but that seems preferable to having the reader attempting to put the back and forth puzzle pieces of war and politics together. It also allows for a stronger development of the characters involved, their weaknesses and foibles, and their strengths and blusters, making history more than a series of dates and events. Two of the main highlights that are revealed involve the two cold warriors. The USSR is shown to be very reluctant to interfere in anything to create a war, aware that it is no match for the U.S. in military or economic terms and that within the Politburo there lies the same military-civilian clash of interests and ideas. As for the U.S.A., what is highlighted is the change in viewpoint/support from the Eisenhower/Kennedy governments to the Johnson administration, from criticism and restraint, to full if unannounced support. Part of that change involves policies related to foreign aid and how it is to be distributed and used. 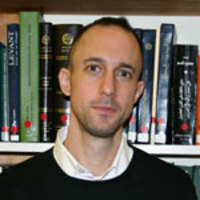 As for Israel, its impressive economic build of ten per cent per year was mainly based on ”loans and grants from Germany and the US…channelled to Histadrut factories, subsidized and protected entrepreneurs…and manipulated the Israeli currency to help exporters.” Laron indicates that the debt problems incurred through these manipulations helped determine domestic political outcomes, and from the critics perspective, highlight the eventual outcome that a good war is always good for the economy and the belligerent leaders. Israel is clearly indicated as the pre-emptive leader in wanting a war, for obtaining more of the land for Israel and the side effect of removing some of the Palestinian inhabitants. But perhaps not. There is a longer, more pernicious and sinister reality. First, it was not just this war that “broke the Middle East.” The Middle East had been broken long before this. Even before the breakup of the Ottoman Empire, the Sykes-Picot secret agreement broke the region into two areas, one of French colonial control, the other of British colonial control. The discovery of huge reserves of oil initiated much larger interest and further broke the Middle East as Saudi Arabia became a power player attached to the gold-dollar come petro-dollar. The CIA and MI6 crafted the rebellion that overthrew Mossadegh’s democratically elected government in Iran setting the stage for future antagonisms. The Wilsonian idealism of giving all people their national choice never saw the light of day in the region. The establishment of Iraq, Syria, and Lebanon was all done by western colonialists drawing lines on paper regardless of ethnicities or historical cultural and economic relationships. More importantly, the Middle East was broken with the British manipulations, not always nor generally honourable, to create a Jewish homeland in Palestine as per the Balfour Letter. Well before this war, hundreds of thousands of Jewish settlers had arrived in Mandatory Palestine with the intention of eventually establishing their own state, a theistic Jewish state much more powerful than a ‘homeland’. The antagonism started early, with the Jewish population attempting to create their own independent infrastructure (and a powerful resistance that became the IDF) and the indigenous Palestinian population recognizing that they were losing their land and culture as time passed. And that does not include the severe breakage caused by the nakba of 1948. 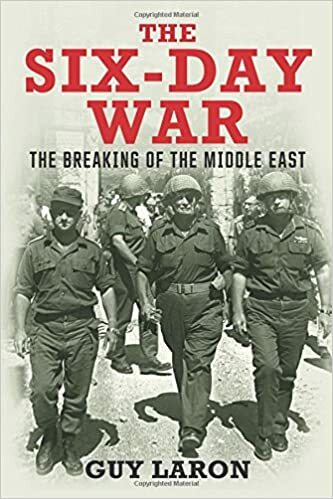 Fortunately for Guy Laron, the brevity of his introduction and epilogue allows his strong research to provide an interesting story of the events that occurred during the Six Day War. If his sociological-political science arguments can be put aside (there is truth to his model, but it lacks a larger perspective) “The Six Day War” represents a strong addition to the historical record of the Middle East.